Lüderitz is growing in prominence as a suitable site for the generation of wind energy and budding energy supplier Innosun have already indicated their willingness to set up a wind farm within the Lüderitz townlands by signing a Private Public Partnership with the town council. Lüderitz Town Council spokesperson Johanna Ileka in conversation with the Economist this week said, “The Luderitz Town Council has entered into a PPP agreement with Innosun for the establishment of a 10MW wind farm that will drastically reduce the risk of power shortage and load shedding. The Lüderitz Town Council will only have 5% of the equity stake, which will be contributed in the form of land.” According to her, land has already been identified and proposals have been sent to the Ministry of Urban and Rural Development for approval. The exact location is the land on the hill facing Agate Beach, as well as an area east of the town. Said Ileka, “as you might know, Lüderitz is one of the few towns that acquires its electricity directly from Nampower and not through a Regional Electricity Distributor, as is the case with many towns and municipalities. Through the partnership with Innosun, once the farm is up and sustainable we are looking at selling surplus energy and obviously supplying our residents with affordable electricity.” She said that there has been a lot of interest for the establishment of wind farms in Lüderitz. “We have received interest from two more different companies that want to put up wind farms in Lüderitz. Lüderitz undeniably receives the best winds in the country, thus we are also home to the world competition that is the Luderitz Speed Challenge. So investment opportunities as far as wind is concerned are immense in Luderitz. 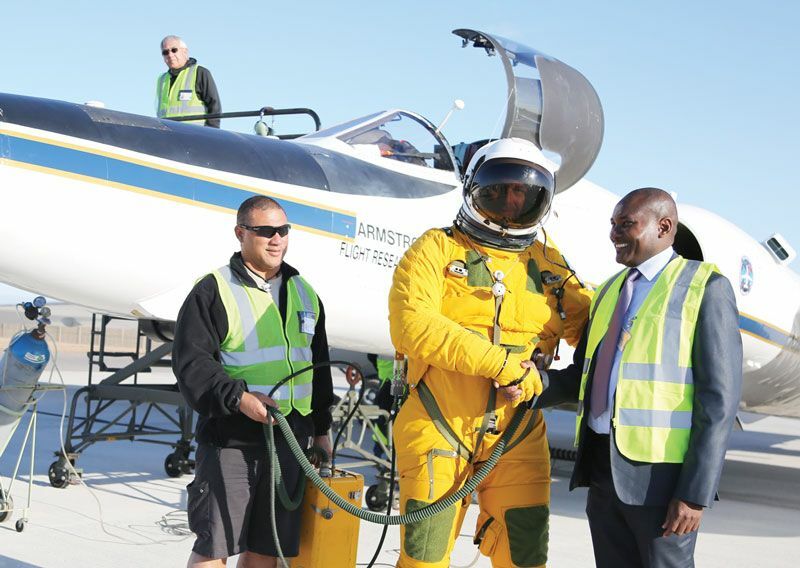 The town only awaits to be explored.” Innosun on their part have previously told the Economist that they have already approached the Development Bank of Namibia as well as the four major commercial banks with a view to finance the construction of the solar plant. Various news sources have indicated that Innosun have signed a Power Purchasing Agreement with NamPower for the 10 megawatt wind farm while project engineer, Alexandre Matton confirmed this to the Economist.